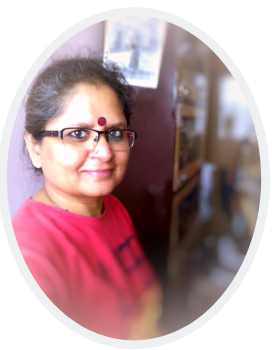 Day 11 of the Blogging from A to Z Challenge brings us to K and it is K for Kamala Sohonie, the first Indian woman to get a PhD in a scientific discipline. She was a biochemist. Kamala Sohonie’s life symbolized the struggle waged by the pioneering Indian women scientists. Kamala was born in 1912. Her father Narayanrao Bhagwat and his brother Madhavrao were distinguished chemists and were among the first to pass out from the Indian Institute of Science, Bangalore. Kamala studied for a B.Sc., with physics and chemistry from the Bombay University. As the university topper she thought it would be easy for her to get admission in the Bangalore institute for further research. Little did she know that brilliance and family support alone were not enough to ensure her entry into male-dominated science. Can you believe that the illustrious scientist Nobel Laureate Sir C. V.Raman who established the Indian Institute of Science (IISc), Raman Research Institute (RRI) and laid a strong foundation for journals in India was against having women students? When Kamala applied to the IISc in 1933, Raman dismissed her application even though she topped the merit list. Undeterred, she confronted Raman, who relented, grudgingly. He admitted her on probation, on condition that she should not disturb the male researchers. Kamala was upset, but accepted. A year later, satisfied with Kamala’s work, Raman allowed her to do regular research in biochemistry. It was also a landmark year when he started allowing women students into the Institute. Kamala worked hard on her research and got her M.Sc degree. As a graduate in 1936, she was the first to work on pulse proteins, which had significant implications for a malnourished India. After she received her M.Sc degree, she went to Cambridge University where she worked on plant tissue and discovered that every cell of a plant tissue has the same enzyme ‘Cytochrome C’ – which played a role in the oxidation of all plant cells. This was an original discovery. Kamala soon received two scholarships and her dream of working with eminent scientists and Nobel Laureates came true. She sent a short thesis describing her finding of ‘Cytochrome C’ to Cambridge University for her PhD degree. Her entire PhD – research and writing took only 14 months and consisted of just 40 typed pages. She was the first Indian woman to get a PhD in a science discipline! In 1939 she returned to India, and worked as the head of the Department of Biochemistry at the Lady Hardinge College, New Delhi. Later she became the Assistant Director of the Nutrition Research Laboratory, Coonoor where her research focused on the effect of vitamins. In 1947, she married M.V.Sohonie, an actuary by profession and moved to Bombay and joined the newly established Biochemistry Department at the (Royal) Institute of Science. With her students Kamala carried out detailed biochemical studies on three major groups of food items consumed by the rural poor and thus established their nutritive values. At the suggestion of the first Indian President Dr. Rajendra Prasad, she did pioneering work on Neera and received the President’s Award. The introduction of Neera in the diet of tribal malnourished adolescent children and pregnant women caused significant improvement in their overall health. Kamala was an active member of the Consumer Guidance Society of India (CGSI) where she worked with double vigor. In 1982-83 she was elected President of the CGSI and wrote many articles on consumer safety for their magazine Keemat. Though she was very happy with her research work, Kamala was quite distressed with the jealousies and politics at the Institute where the Directorship was denied to her for many years. 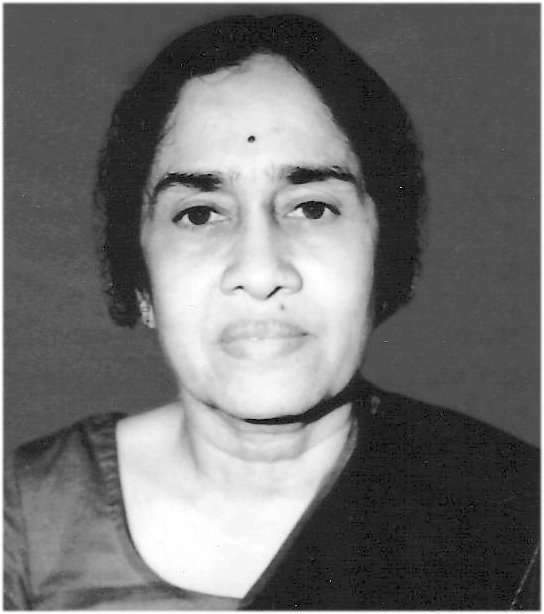 She attributed her successful scientific career to her father, teacher— Sreenivasayya and her loving husband. Kamala Sohonie passed away in 1998, at the age of eighty-six. My Big grandmother’s name is Kamala and she is now 82 years old, a great lady who is a role model in Banglore! Nice post Vidya, reminds me I need to write abt her. I look forward to reading about your big grandmother! Wow!! What an inspiring person!! Considering the fact that she was born in 1912, when education of girls was a very low priority (if at all it was a priority at all then), Dr. Kamala Sohonie’s achievements are truly amazing. I know! Why, Pro, even today women’s education is not always a priority in many families! 🙂 Thank you. I appreciate you for being among the first to always comment. 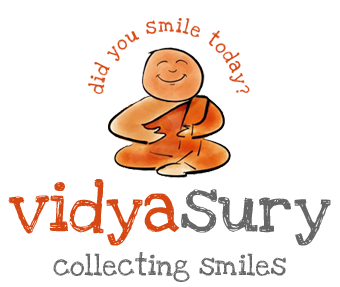 Vidya, your’s is one of the first blogs I visit in the morning so that I can start my day on a positive note! 🙂 I truly appreciate it. And I’ve gotten into the habit of expecting it! Right, Beloo. Women all over the world, even today, have to fight harder as they rise higher! I’d love to read that article you referred to! Thank you for your constant support. Glad we met! I rate this post of yours very high in the A-Z challenge.It is very thoughtful of you to have highlighted her initial hurdles and how she surmounted them by her brilliance and hard work.I would not judge Dr CV by present day standards.He belonged to a different generation.It is a pity even today glass ceilings exist.Girls excel boys in class 12 but how many are found in higher institutes of learning or civil services?They dwindle to a small percentage. Though the position has improved,the mindset is very much there as can be seen clearly in the fate of women’s representation in legislatures.The women are required to walk an extra mile for everything. Thank you so much for your kind comment, Mr KP. I agree with you about not judging Dr CV based on this. Those days were like that – and moreover, he did permit her to continue to study. What is the excuse of those who still have a bias today? Once again, thank you for your encouraging words! Thank you for sharing this, Vidya. I had never heard of her and am awestruck at her determination to follow the course she did, despite the bias! I had never heard of her either, Corinne. And was thrilled to find her in a book titled “Lilavati’s Daughters” published for the International Congress of Mathematicians, 2010. Then more recently, she was featured in a Science magazine. I am speechless. What a woman she must have been to fight against all odds to do what she managed. And such crowning achievements, no less. Does she figure in any school textbooks, do you know? These are the stories I would like Gy to learn and grow up on. I read about her in a book, Shailaja. And then again in a recent Science magazine and there she was, my post for K! 🙂 Thank you for visiting. I think that it was a terrible misunderstanding that women couldn`t study. I guess that studying is one of the most important aspects in life of any person. That’s right, Maria! Thank you for visiting! Yes, Birgit. She was involved in several “firsts” and made a big difference! Thank you! her story is truly inspiring… but it’s shocking that a nobel prize laureate had such bias thought about women. Thank you Rajlakshmi. I am just glad she persisted and stuck on! An inspiration indeed! If a person like C V Raman was against women getting educated then the others would have been worse… and related to him? Wow!!! Hehe, Sheethal! Related via Sury. C V Raman did many great things – and one must not judge him by this incident, as Mr KP mentioned in his comment here. Those days were different. This is just such an amazingly impressive profile, Vidya. Thankyou so much for sharing. The bias coming from C V Raman is surprising, given the belief that he must have actually encouraged people like Kamala. But that she took up the challenge itself shows how much of a strong woman she was. Thanks for sharing this with us ! She’s a lovely inspiration !! Thing is, Sreeja, one must appreciate he let her, and then later lost the bias. 😀 After all, he lived in a different era. The sad thing is families that still believe women must chill in the kitchen, be seen and not heard! Thank you for your constant support. Love! It’s interesting to learn about those courageous women who were the first to accomplish things like this. They paved the way for so many young women of today. Isn’t it, Suzi! Thank you! And it wasn’t easy for them, either! YES! Great women like this pave the way for the “not so great” women who are yet to be! Oh OMG… CV Raman really did that.. ? It is sad to think that such a great scientist would do like this. I am amazed at Kamala Sohonie’s courage and strength..Very inspiring ..
And thanks a lot for mentioning my blog..
What an amazing woman. An inspiration to us all! I love this blog post series of yours. Great to meet dynamic women.